Studying prayer as practice means we must be attuned to embodiment. What are the learned postures, gestures and gesticulations, movements, and breathing techniques in prayer? What are the disciplinary regimes producing and policing prayer? How would a dance ethnographer draw the prayer practice of charismatic evangelicals, of davening Jews, of flagellating monks? Attention to embodiment means taking seriously dress practices, issues of clothing and adornment for prayer. What are people supposed to wear to pray and what do they actually wear? What can clothing and adornment reveal about the practice of prayer, the meaning and the history of prayer, and the politics of prayer? One is veiled, another is dressed in comfortable yoga clothes, another is in the white cloth of the sanctified church; what does this tell us? Attention to embodiment means studying the sensorial worlds that groups create: what of the incense, the music, the visual, the aesthetics of prayer? Are prayers supposed to be silent, or audible? Studying prayer as practice involves paying attention to space, to the spaces where these practices are practiced. How is spatiality shaping and being shaped by the prayer at hand, from the church altar to the confessional booth, from the crossroads or the cemetery to the market or bazaar? How is space shaping prayer in Christine Wicker’s case of the alleged Home of the Virgin Mary near Ephesus, and in the emergency prayers in the traffic jams of Lagos we heard about from Ebenezer Obadare? Are prayer practices portable, or are they dependent on certain spaces? Are people praying while in movement—in pilgrimage, or in cases of vehicular religiosity that are made possible by interstitial spaces of time while people are stuck in traffic? Since we are on about space, we’d better factor in time. 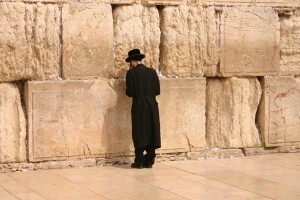 Are there orthodox times to pray and do people respect them? How about digital prayer clocks and apps that remind Muslims of the Call to Prayer each day. Amazing to me was Leor Halevi’s description of his “Pray Pray Revolution,” an orthopraxy machine that helps the practitioner perform prayer movements correctly and in perfect synchrony with the recitation of the proper texts, at the perfect time. Profound is the idea of praying incessantly, the idea of being always engaged in the practice of prayer. Mustn’t the practice of prayer involve the economics of prayer? Is prayer produced and consumed? If I write to your listserv with a prayer request for my upcoming surgery and strangers I don’t know pray for me, am I practicing prayer? Am I consuming prayer? If nobody on the listserv prays for me, has prayer been practiced? Will I ever know? Speaking of the economy—and especially for us in the United States—what does the pray-er need to buy, obtain, or trade in order to practice prayer? John Lardas Modern is researching prayer machines: how much do these rosaries or these E-meters cost, how much is Halevi’s “Pray Pray Revolution” machine, which helps detect errors so that the prayer is not “invalidated”? In studying prayer as practice we may want to be attuned to the affective life of the practitioner: how do the prayerful report experiencing prayer? How does prayer make them feel? Is this part of studying prayer as practice? I should think so. But how can we analyze the unobservable? Does practice include analyzing the results of prayer and the emotions of prayer? Are the results of prayer predictable? Several of us here are studying cognitive aspects of prayer. How do people understand their prayer practice? Is studying the way people understand—or feel—about their practice the same as studying the practice? Surely it is a sort of secondary or even dialectically-related aspect of practice. What are the sensory aspects of prayer that produce the circuits of prayer between brain and body? Mark Aveyard asks how can the physical prayer practice produce cognitive, higher-levels of religious experience? How much agency can we say people employ in prayer? Is Csordas’ case of people speaking in tongues, prayer? What is the role of agency when people “fall into tongues?” When they “fall into tongues” while driving a car, what prevents them from ecstatically driving into a tree? How is prayer taught to the young or the novice? How is prayer practice learned? Rebekah Richert’s case of children’s conversations with the unseen prompts the question, what does studying prayer as practice tell us about how humans construct the sacred, and the divine? Perhaps most importantly of all, what social formations develop in co-construction with a given prayer practice? How does the practice of prayer create social boundaries, and unify some groups as they denigrate other gods or spirits, or other religious groups? How does prayer practice increase violence, and cultivate peace?